Discover the hidden treasures of the Golden Land. 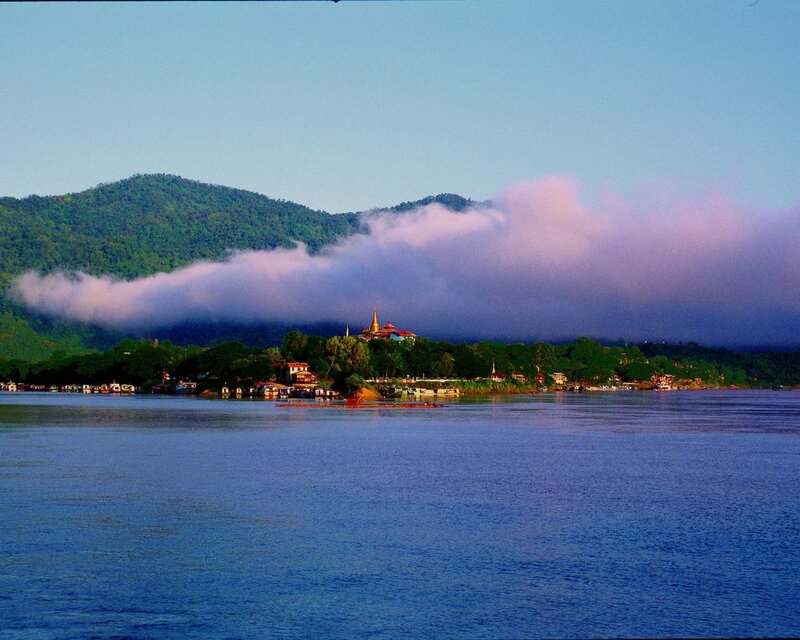 Chindwin is a river less travelled, however as well as its religious monuments, it offers spectacular scenery as it meanders through beautiful valleys and jungles. The cruise begins from Bagan and will set sail up the Chindwin to Monywa from where the guests are driven to Mandalay. Board the ship at Bagan. The ship sails upstream to the confluence of the Irrawaddy and Chindwin, then on to the bustling town of Pakkoku. There, visit the monastery and the weaving workshops. Visit the little town of Pakhan-gyi. This post-Pagan period provincial capital was walled with a moat and originally had a governor’s palace. See the old walls. Visit the museum and a spectacular 19th century wood carved monastery. 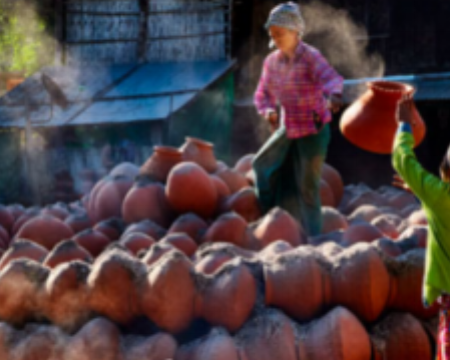 Continue cruising to Ahmyint village and visit the local market, see beautiful houses and the lovely 17th century style Min Kyaw Swa stupas with 18th century style paintings. Arrive at Monywa, the Chindwin River’s largest port. Visit Hpowindaung caves where hundreds of Buddha statues are placed inside niches decorated with wonderful mural paintings. Return to the ship for a late lunch and cast off. Late morning, explore the village of Kanee and climb the pagoda hillock for the view. Return to the ship for lunch. In the afternoon, explore Kin village with its beautiful wooden houses and the woodcarved monastery. Continue sailing upstream until late at night. Continue sailing upstream the whole morning. In the afternoon, the ship arrives at the small enchanting town of Mingkin. Explore its temples and 1900’s wooden houses and the Min Kyaung Monastery with its old Buddha images. At Kyidaw (Kyi Taung Oo) visit the Shwe Za War Yaw Monastery, one of the oldest and best preserved wood-carved monasteries of Myanmar, embellished with wooden sculpted idols with fascinating gold leaf wall decorations. Walk through a beautiful scene of paddy fields in the village of Kan, and visit another splendid example of an old Myanmar monastery. The ship proceeds upstream to Kyaw Zin, a village very close to Kalewa, to stop for the night. In the morning, explore Kalewa, the main river port for trading with India. See the lively market and climb up to Shwe Moat Htaw stupa for the beautiful view. Back to the ship before lunch and keep on cruising upstream to Mawlaik. Mawlaik (situated 35 km from the Indian border) was the administrative capital of this area, rich with teak forests. It is a pleasant colonial town with its golf course surrounded by splendid colonial houses built by the Bombay Burmah Trading Corporation in the 1920s and 1930s. The governor’s house, the administrative building, the school, the hospital, the “Dak Bungalows”, and the company headquarters are all well preserved, still in use nowadays and nicely maintained. From here, the ship begins sailing back downstream to Monywa. Continue sailing all day downstream. Stop at a typical River village, to visit the school and some typical houses. For the rest of the day, the ship continues sailing.